The 'Death of You and Me' singer has scoffed at his estranged sibling's boasts his new band, Beady Eye, could become bigger than the super-group they were in together. 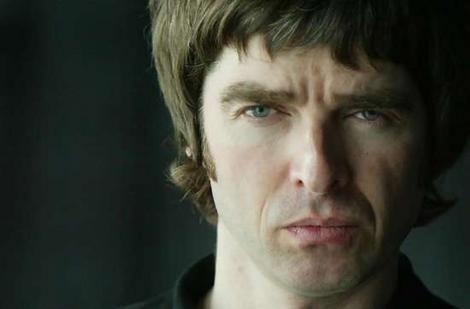 When asked what he felt about Liam's comments his new band will be more successful than Oasis, Noel told Q magazine: "Someone needs to lie Liam down and waft him with a wet towel." The 44-year-old guitarist quit Oasis in August 2009 following a huge backstage fight with Liam, who Noel claims tried to take his "face off" with a guitar during the bust-up. Despite the turbulent atmosphere in his former band, Noel admits he does "miss" certain things about the group, and says he didn't find it easy choosing which musicians to work with on his new project Noel Gallagher's High Flying Birds. The musician – who is releasing his solo album of the same name in October – explained: "I had two options: you either get a load of kids in, and then you end up looking like Bryan Ferry. Or you don't and you have mates - but then, I don't know many 44-year-olds that aren't bald. But it fell into place nicely. It's the noble thing to do, bands are for the young."